We really enjoyed our last few days in Farragut. We spent time with new friends, Mark and Teri, the interpretive hosts at the park. They had been there all along but we didn’t really connect until the last 10 days. 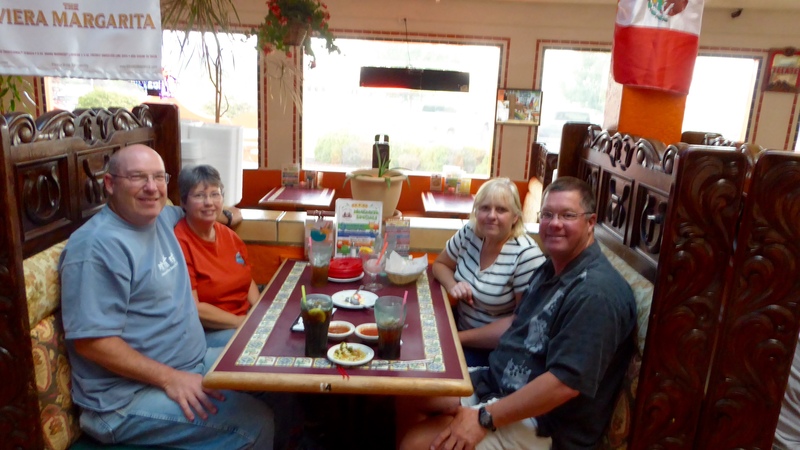 So….we had lots of getting to know each other to do in a brief period. We ate out a couple times and visited. Randy and Mark played several rounds of disc golf with Randy learning lots from the more experienced Mark. They also flew RC airplanes one day. We left with good intentions to keep in touch and meet up again. We also had an end of the season potluck. It was fun to have a chance to say goodbye to the friends we’d made in the park. 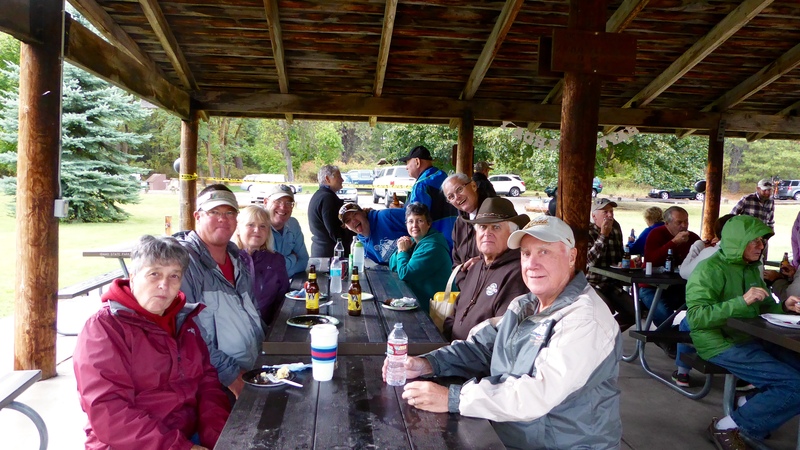 The sense of “community” we had been missing as we traveled was found at Farragut. I was kind of sad to leave – but most everyone else was leaving shortly as well. I can understand why people come back year after year. But as August was over, and the new host couple came in for our campground, it was time to move on down the highway. The first stop was at the Les Schwab Tire Center in Hayden. While airing up our tires, Randy found a leak in one valve stem and he had to put on the spare trailer tire to go into town. We were in and out in 20 minutes, valve stem replaced, spare put away, all at no charge. Thank you Les Schwab. 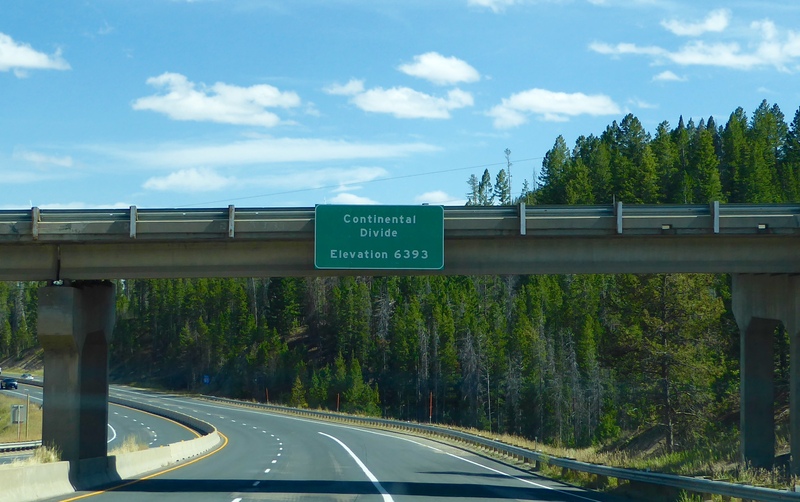 We traveled across the Idaho panhandle, into Montana and crossed the Continental Divide. We passed a myriad of places where we would have liked to stop and explore but we had a long way to go – 347 miles to be exact. I think that was the most we have gone in one day since we began this adventure. 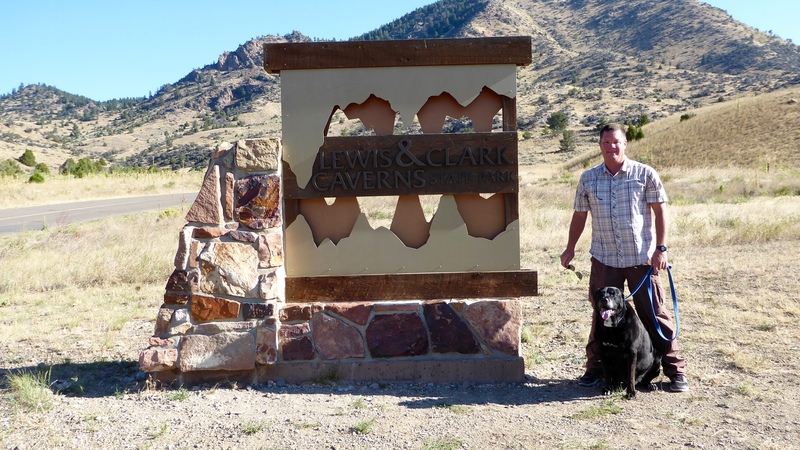 Our overnight stay was to be at Lewis and Clark Caverns State Park in Montana. 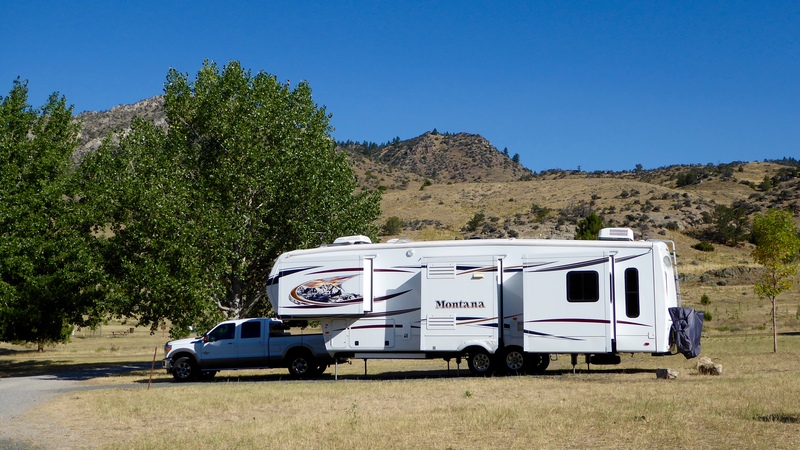 The campsite was complimentary from the state of Montana (since we were en-route to volunteer at a Montana park) so we couldn’t complain when we drove in and discovered we had no hook-ups. One night of “dry camping” was perfectly fine and we enjoyed the wide open spaces of Big Sky country. Our Montana is in Montana! We got set up just in time to make it to the last tour of the caverns at 4:30. Only when we got there, we discovered they had left at 4:15 so we, and 4 others, had to hustle up hill for 3/4 of a mile. I was really wondering if it was going to be worth it. I am glad to say that it was! 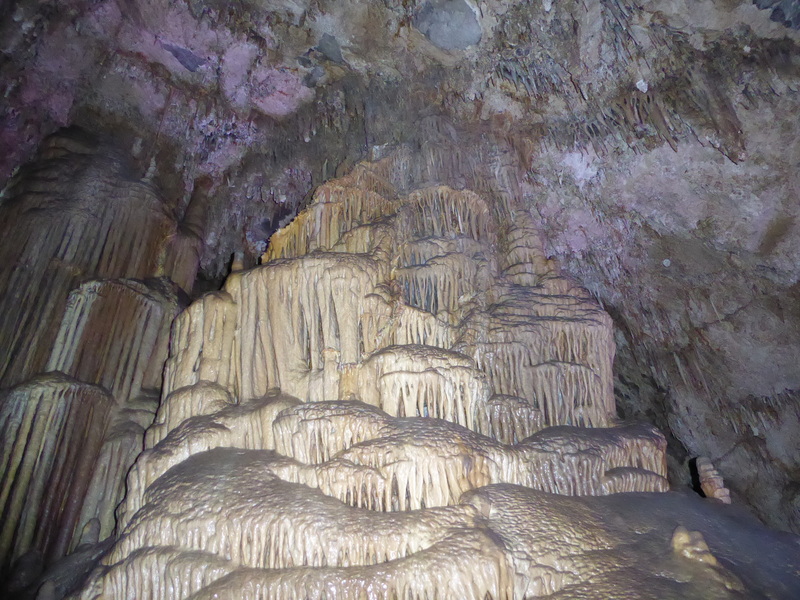 We have seen quite a few caves and caverns over the years and this one had many of the same beautiful cave formations ( stalactites, stalagmites, columns and helicites) we have seen before. What made this cave unique was the interesting route through the caverns. We crunched and stooped many times and even had to sit down and slide from one room to another. 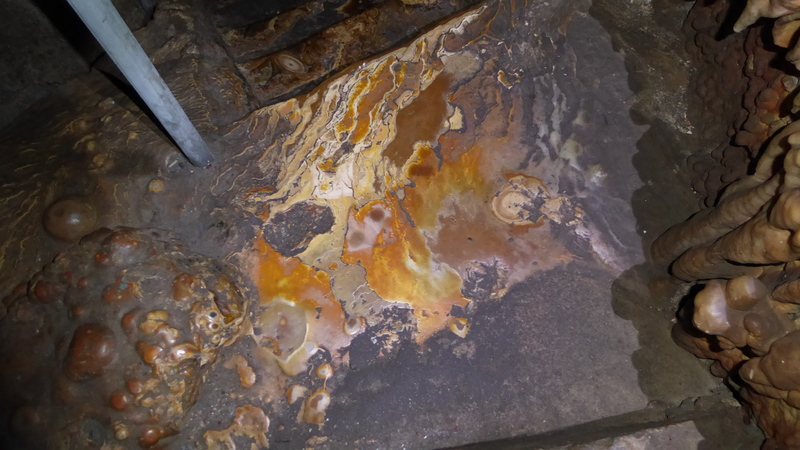 There was also a travertine step. The caverns were named for Lewis and Clark who traveled along the nearby Jefferson River in 1805. The cavern was discovered in 1892 by two ranchers. 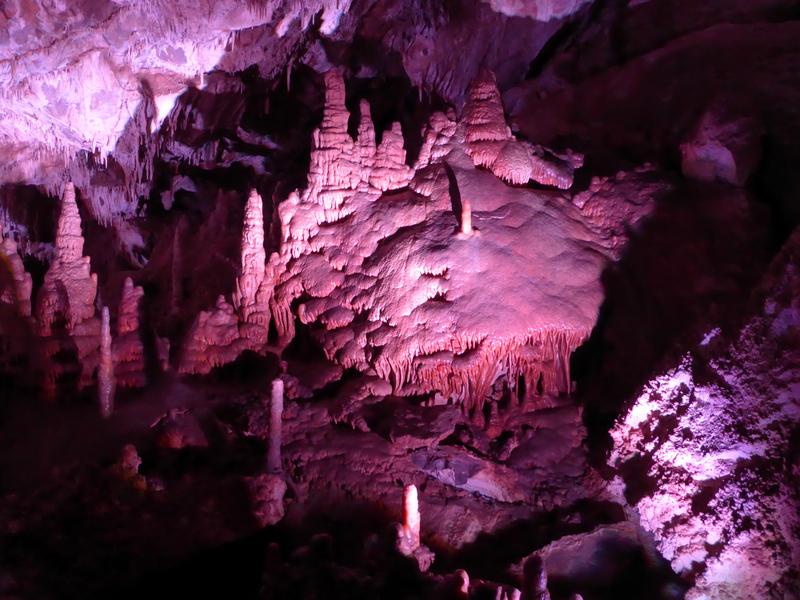 The caverns became federal property in 1908, the fifteenth National Monument. The lands were given to the state of Montana in 1935 and became Montana’s First State Park. The CCC and the state improved the trail and blasted tunnels to join caverns. Lewis and Clark Caverns is the highest revenue producing park in the system, helping to subsidize other parks in Montana. 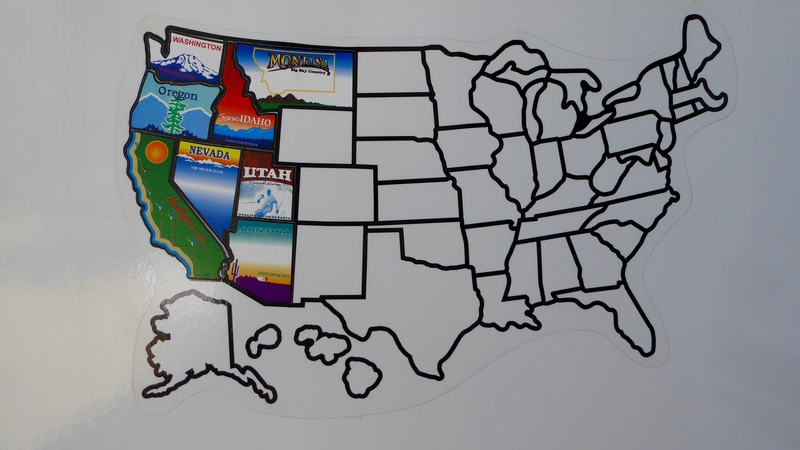 When we woke up the next morning, we were able to put the Montana sticker on our map! Our criteria is spending the night in a state. 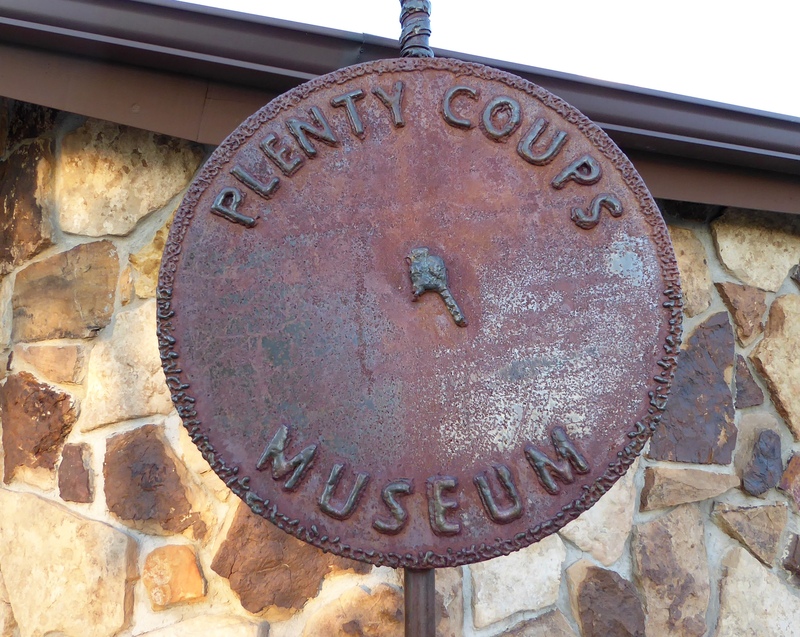 Another day movin’ on down the highway followed, going another 220 miles to our destination, Chief Plenty Coups State Park. We have a nice campsite and lots of peace and quiet! This is a historical day use park so we will have lots of solitude in the evenings. 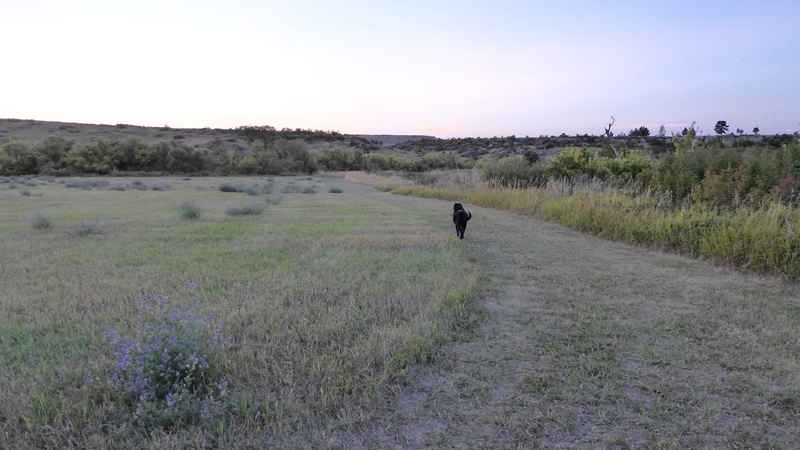 Elko enjoyed our walk around the park this evening. Tomorrow we meet with the park manager for orientation and find out about our volunteer jobs for the next month. We sure enjoyed meeting and spending time with you. Better late than never, right?? Those caverns look amazing, and we look forward to learning more about your new volunteer gig. We worked hard today helping to prep for the big event this weekend! Hopefully it will relax a little after that is over. One of the local Crow gentlemen has parked next to us in the grass for the next few days so I think (but do not know) that you might be able to do the same if you come by for a night or two. It’s been too long since I’ve responded. I’m so happy you had a good summer and are still enjoying your wonderful adventures. We do miss you, so come by next time you’re in town. I was happy that BSU won last night and It made me think of you both. We will be back in town late October and we’d love to get together. We had our BSU flag out for the game where our trailer is parked here in Montana. Exciting win for BYU today!